Riverbend 2018 will include a mix of oldies rock classics, '90s pop, and contemporary Christian rock/rap, Texas blues rock and horn-based funk. Friends of the Festival, the organization that produces the event, today announced that Third Eye Blind, Switchfoot, Mitch Ryder & The Detroit Wheels, Tyler Bryant & The Showdown and Turkuaz have been added to the schedule. Unlike many of the other festivals around the country such as Shaky Knees in Atlanta, Bonnaroo in Manchester, Tenn., and Forecastle in Louisville, which announce their entire lineups at one time, Riverbend has for years announced its lineup in small patches spread out over several weeks or months. Previously announced acts for Riverbend 2018 are Hank Williams Jr. (June 8), Luke Combs (June 10), Gangstagrass (June 8), Mitch Rossell (June 10), Delbert McClinton (June 15) and Shadowboxers (June 15). In all, almost 90 acts are expected to perform over the eight-day festival. Third Eye Blind, best known for the hit "Semi-Charmed Life," will headline Riverbend 2018 on June 15. 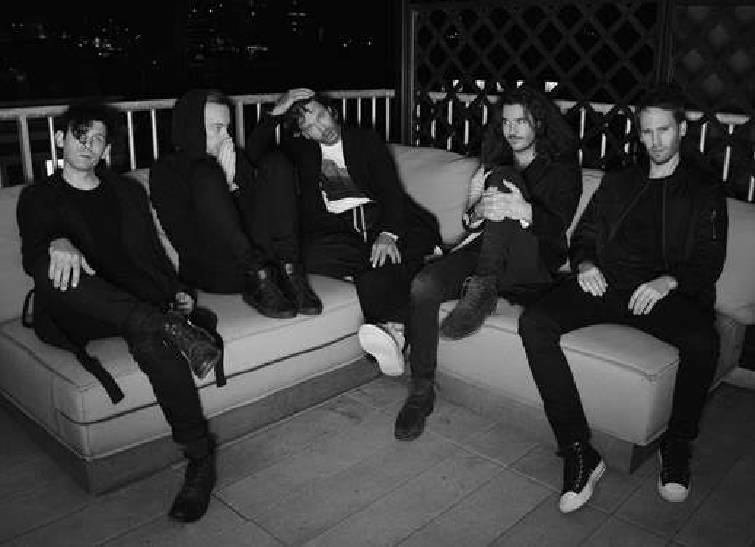 Third Eye Blind began in the '90s in San Francisco and had hits with "Semi-Charmed Life," "Jumper" and "How's It Going to Be" from their self-titled debut. They will headline the Coke Stage on June 15. Switchfoot will headline Faith & Family Night on June 12. The band had contemporary Christian hits with "A Meant to Live" and "Dare You to Move," from "The Beautiful Letdown" in 2003. They earned a Grammy in 2011 for Best Rock or Rap Gospel Album for "Hello Hurricane." Mitch Ryder & The Detroit Wheels are best known for the hit song "Devil With a Blue Dress On," but also had hits with "Sock It to Me, Baby," and "Jenny Take a Ride." Ryder moved to Chattanooga this past summer just a couple of weeks before being inducted into the Rhythm & Blues Hall of Fame in Detroit. He will perform on the Bud Light Stage on June 16. Bryant & The Shakedown will play their brand of Texas blues on June 14 on the Bud Light Stage. Bryant has been playing guitar since he was 6. Years later, guitarist Vince Gill said of him, "To be 18 and play like this kid is the rarest of the rare. Hands down a future guitar god." Turkuaz is a nine-piece funk/rock band from Brooklyn, but their sound blends R&B, psychedelic pop, gospel, Afro-pop, new wave, classic rock and anything else that moves them. They will perform on Unum Stage on June 13. Riverbend is scheduled for June 8-16. Friends of the Festival, the organization that produces Riverbend, has created several ways for fans to attend the event. New this year is Starview Landing, which is available for an extra fee and includes better access to the Coke Stage, exclusive options to purchase food and cocktails, portable restrooms, and parking passes. The Starview Landing Premier Package includes admission and passes for this area for all eight days for $238. Nightly passes are available for various prices. "This enhances the Star Seating program," said marketing coordinator Amy Morrow. "We wanted to give folks room to mingle or dance or sit. Also we will have vendors there so they don't have to leave that area. It's more of a festive experience for the fans," she said. Also new is Fan Stands, which enhances the blanket-seating concept by offering additional vendor options and a cash bar in the Fan Stands as well as a prime view of the Coke Stage entertainment. These packages and general admission are on sale now at www.riverbendfestival.com. Contact staff writer Barry Courter at bcourter @timesfreepress.com or 423-757-6354.